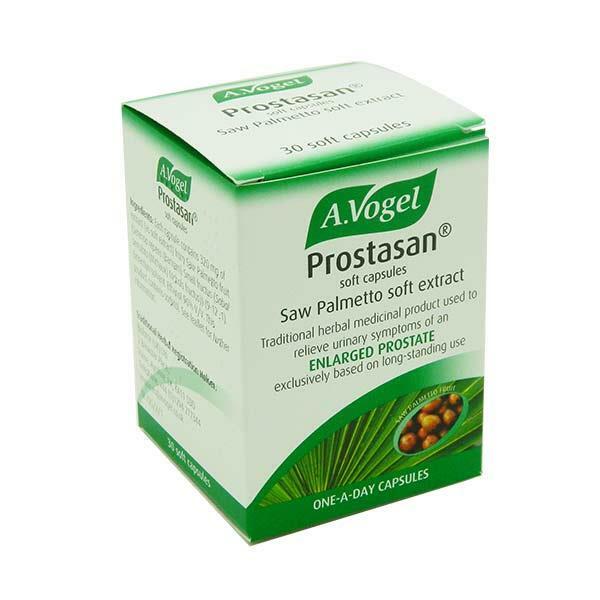 A.Vogel Prostasan Capsules have been formulated to help treat symptoms of an enlarged prostate. This traditional herbal medicinal product will help to relieve urinary discomfort that is associated with a feeling of not being able to empty your bladder. It is recommended to take one capsule per day.